For this simple activity give students word problems that do not include the data needed to solve the problem. Then students have to figure out what data they need before they can solve the problem. For this activity ask students a mystery scenario, for example, “A man escapes from a room with no windows or doors, how does he do it?” Then have students ask only yes or no questions to figure out the answer. This teaches students to ask strong, relevant questions when faced with a problem. 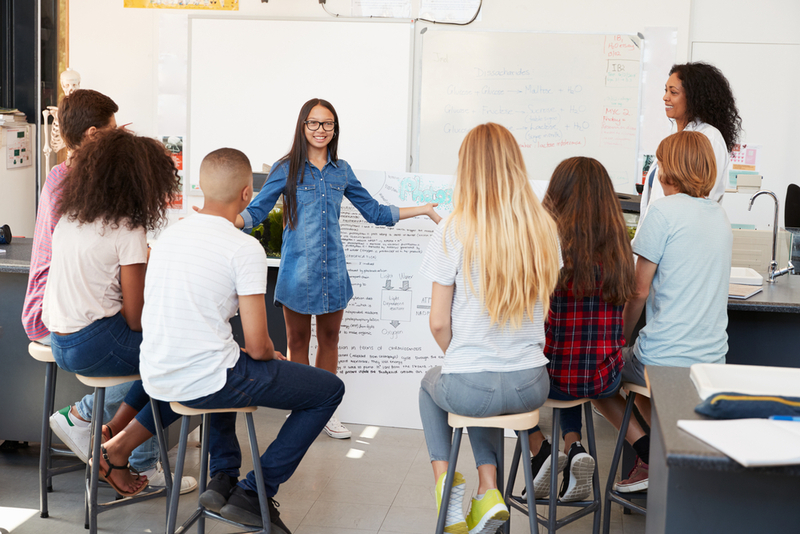 Tell students about a factual situation, but only make the story “mostly true.” These stories can be scientific discoveries, historical events, or even local news stories. Then have students research and ask questions about the story and figure out the lie. This helps students with media literacy and research skills. This fun game only requires the use of one device with Skype or Google Hangouts. Then connect with another classroom in another city, state, or country. Then each classroom gets to ask questions of the other classroom to figure out where in the world they are. This activity challenges students to think in terms of cause and effect. The first step is to have students watch a short video with a cliffhanger at the end. Then during Act 2 students map out the information and look at cause and effect to predict the ending. Finally in Act 3, students watch the end of the video to find out the conclusion. Then they can compare their predictions with the actual outcome.